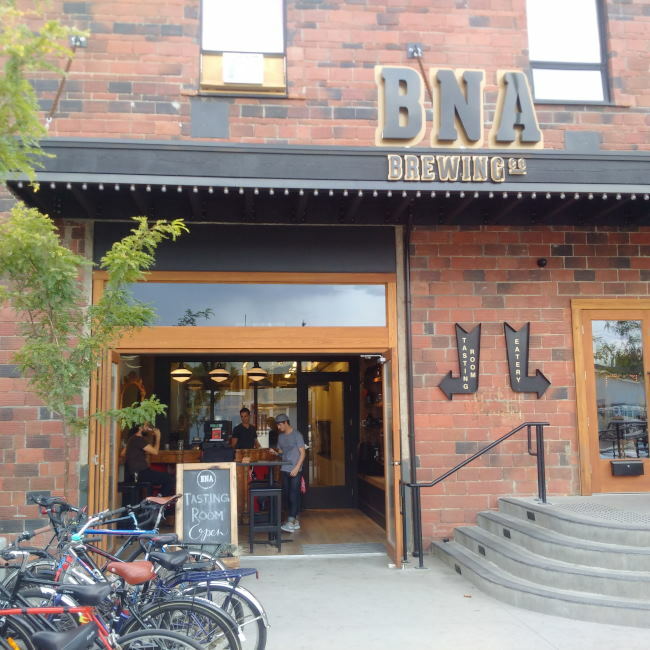 BNA Brewing in Kelowna is the new kid on the block in the Okanagan Valley. Located in the historic British North American Tobacco Company building. Tobacco leaves have not been dried here for years and the building has been vacant for most of its time since the 1960’s. Luckily for the Okanagan things have changed and BNA Brewing was born! BNA Brewing consists of a restaurant, small tasting room and a small brewery. It is a brew pub that also has lots of other craft beer on tap (mostly probably because their system is so small! Starting in the restaurant I met up with a friend who lives in town and had a beer. The restaurant is gorgeous with the base building barley being touched from its original state and great old school and new school touches. There are two levels to the pub with a shuffle board table on the main floor and an indoor lawn bowling or boccie on the upper level! Once finished inside the brewery we were lucky enough to have a personal tour of the brewery by Jill. On the way to the brewery we walked through the tiny tasting room as it leads into the brewery. Man was this a tiny space. It reminds me of many of the nano breweries I have visited! Walking through the door at the back of the tasting room we entered the brewery. Well I think it is only mildly bigger than the tasting room (ok not quite but close). I think they underestimated the popularity of their beer when they put in the brewery as it is already full and they can not keep up with demand. They have rented brewing space at a different local brewery to keep up with their demand! Its a great problem to have to be sure. I have now had samples of 4 different brews from BNA Brewing and have to say that I am quite excited to see what comes next from them! Kelowna needed some competition in town when it came to craft beer and these guys have brought it! If you are in and around Kelowna and you do not check out BNA Brewing you are doing yourself a disservice! 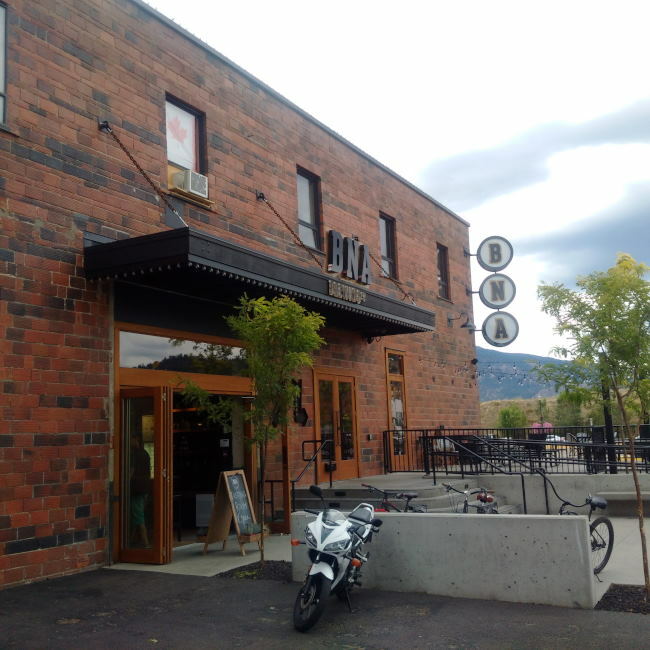 This entry was posted in Brewery and tagged bc, bna brewing, british north american tobacco company, canada, craft beer, historical building, kelowna, okanagan. Looks like a nice place, which was the best beer your sampled there? My favourite this time was their Blood Sugar Hops Magik IPA. Review to come.